CVS has announced that as of October 1, it will no longer sell tobacco products in its stores. CVS decided that it couldn’t, in good conscience, continue to advocate good health to its customers while selling these cancer-causing products. Bravo CVS! Hopefully others will follow your lead and we can all breathe a little easier. “Making cigarettes available in pharmacies in essence ‘renormalizes’ the product by sending the subtle message that it cannot be all that unhealthy if it is available for purchase where medicines are sold,” the company’s chief medical officer, Dr. Troyen Brennan, wrote in a new article in the Journal of the American Medical Assn. The article is co-authored by Dr. Steven Schroeder, director of the Smoking Cessation Leadership Center at UC San Francisco. In this instance, unlike many others, the right thing won out over money. 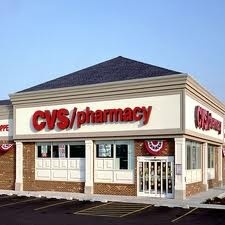 In taking this route, CVS stands to lose money. A lot of money. The tune of 2 billion dollars type money! Wow! CVS is my pharmacy of choice already, but this seals it for me! Any business that is willing to put its money where its mouth is, is a-ok with me!